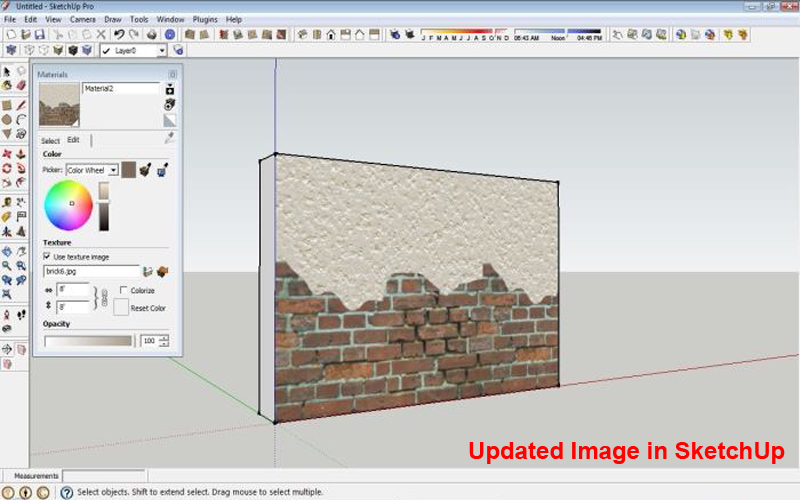 This simple little tutorial will show you how to edit a texture image right inside SketchUp with Photoshop or whichever image editing software you use. Make sure Adobe Photoshop is your default image editor if it is not, go to Window>Preferences>Applications and browse for your Photoshop.exe file. 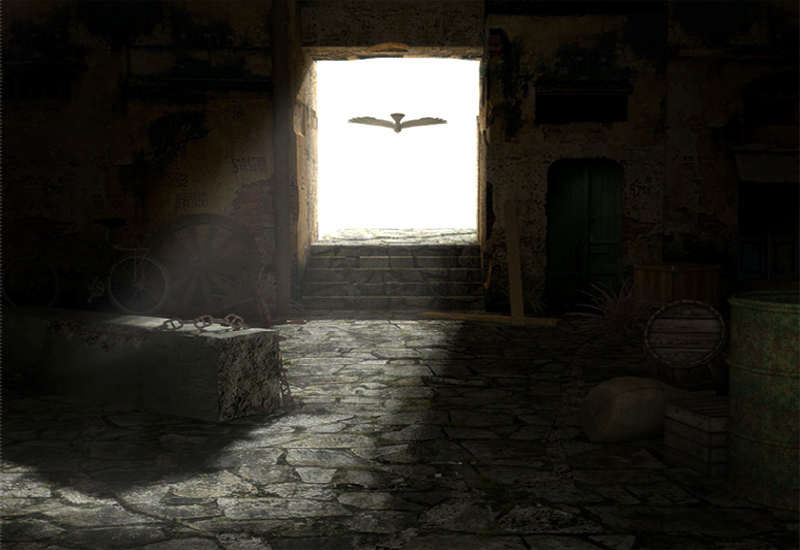 You should find it in your Photoshop program file folder. 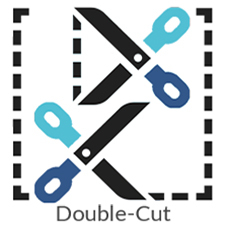 Double click on your Photoshop icon and that will load the exe. file. 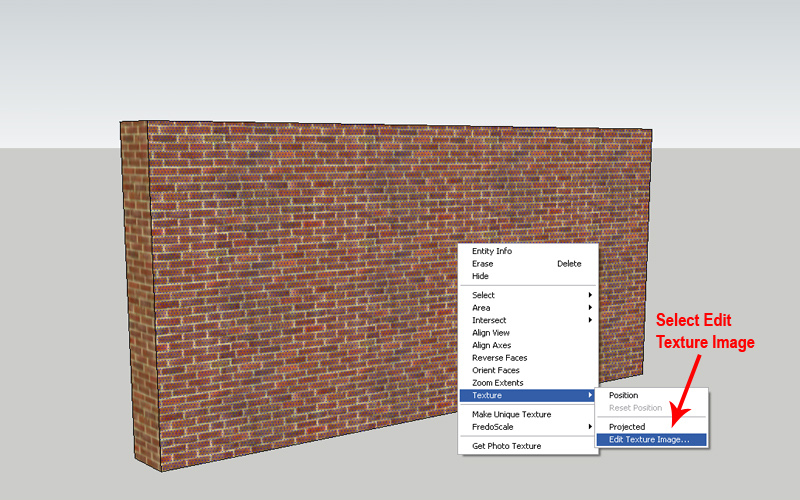 To edit your material, just right click on the material and select Edit Texture Image from the Context menu that appears. 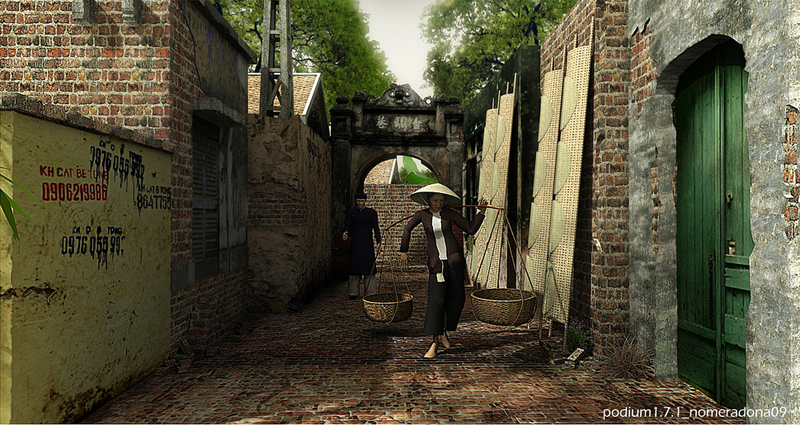 This will open your image editing software, in this case Photoshop. At this stage your image editing software should have opened automatically, in this case Photoshop. 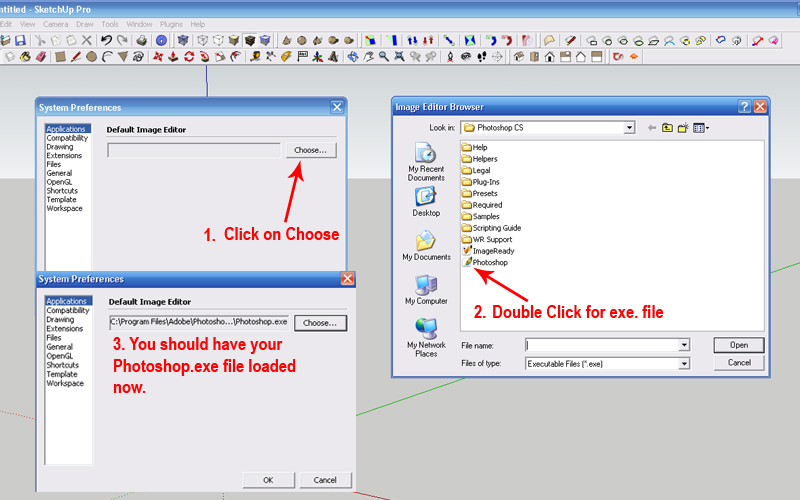 Edit your image as required and once finished Flatten Image and Save it. The file will be saved in a temporary folder. 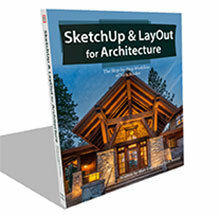 The image is automatically updated in SketchUp once you Save and Flatten it in Photoshop. 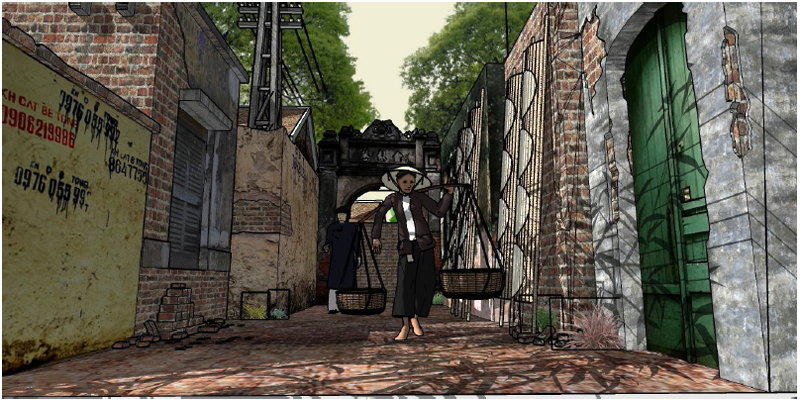 The saved image is located in a temporary folder used by SketchUp. 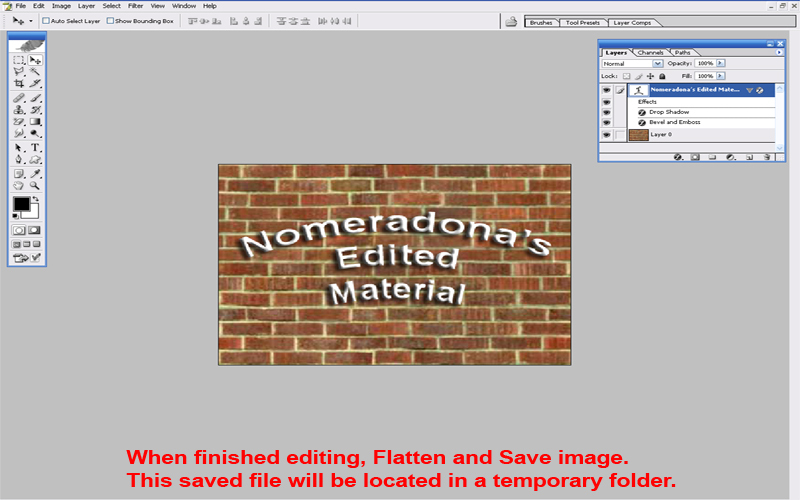 Another way to access your editing software is to go to Windows>Materials and click on the Edit tab (1) in the Dialog box and then click on Edit texture image in external editor icon (2) as highlighted by the arrows in the image below. 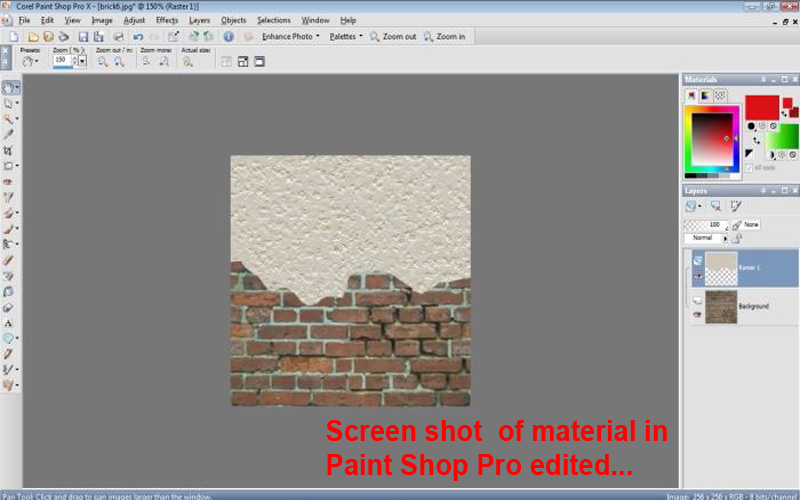 And the screen shot of the material being edited in Paint Shop Pro. 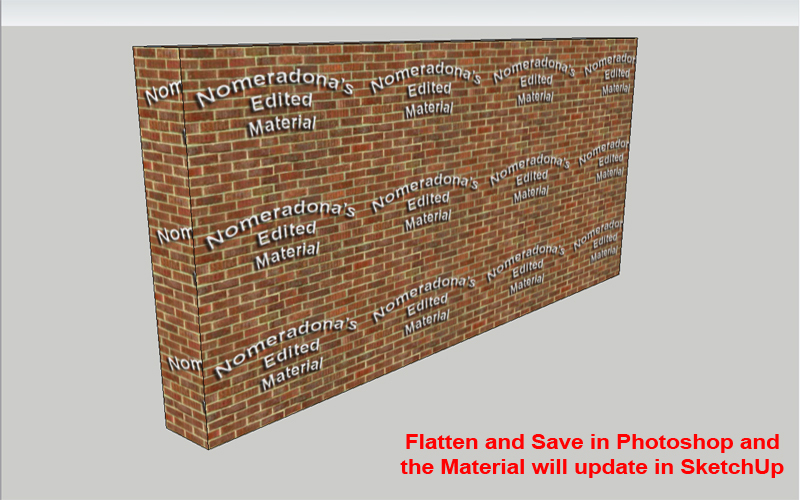 Again Flatten and Save for image to update in SketchUp. 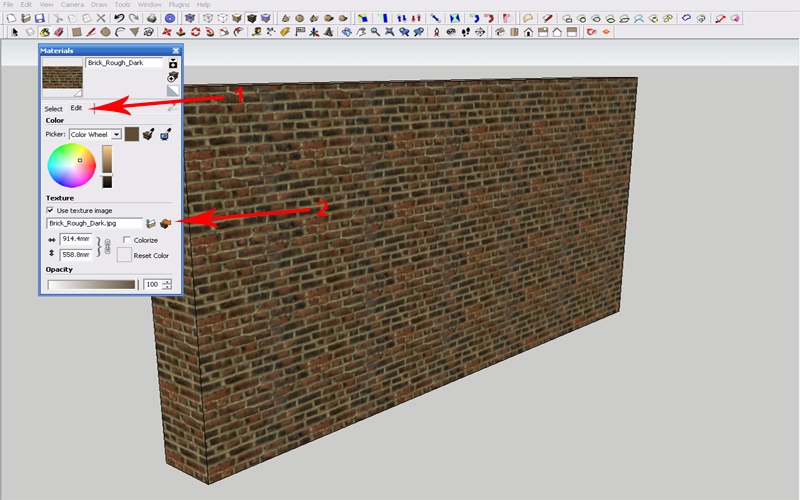 Its a simple as that…in SketchUp all you have to do is to use those pins to adjust your materials and if you are not satisfied will your texture, you can just shift back to Photoshop and do some more work on it, which is the big plus in SketchUp 7. Here are some renders and projects I did using this useful method of editing my materials. 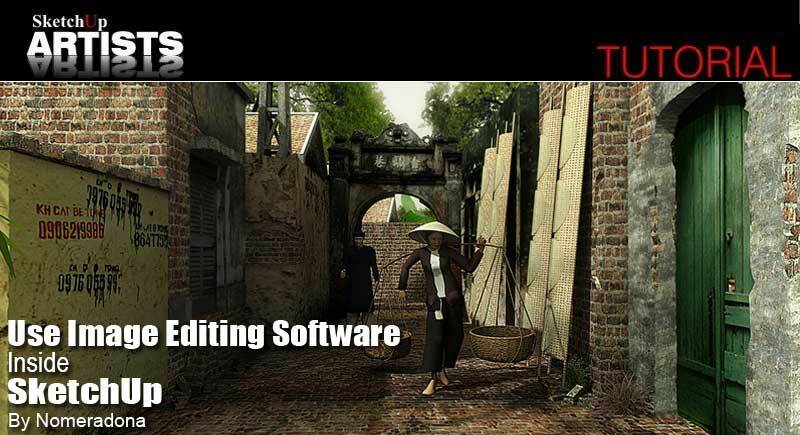 To get a good result proper texturing is a must. I hope you found this little tutorial informative and you can incorporate it into your modeling work. Thanks for reading it. 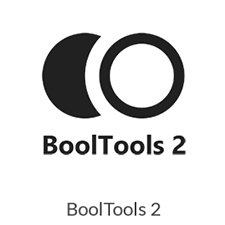 Does this work for any image editor and not just photoshop or paint shop pro? For example, I’m on the cheap so I use Paint.NET and a 2004 Macromedia Fireworks for all my image editing. 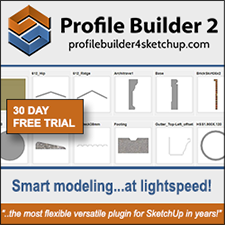 Following the same procedure for Paint.net doesn’t seem to work .. How does the image go back to Sketchup as an edited texture? It should work with most editors, but Nomer can confirm this. 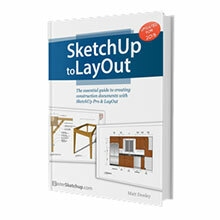 For the image to appear in SketchUp edited – You must Flatten and Save the image in Photoshop once you have finished editing and it will automatically update in SketchUp. Why do you have to flatten the image? If you add anything to the original locked image without altering its state (it says locked) for example a color, you don’t have to flatten it, but if you have multiple layers due too your editing or added text, you need to flatten it, for it to auto-update. Perfect. 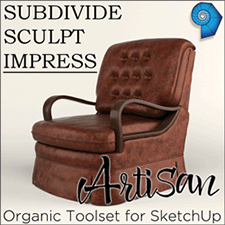 Whch settings did you use on Podium and Sketchup to render? Thanks Norma Was looking for the inbuilt color wheel and slider inmymaterials edit window as shown in your tutorial but it is not there my version is skp 2025 on a Mac with os mavericks . Is it a version or pc mac issue?